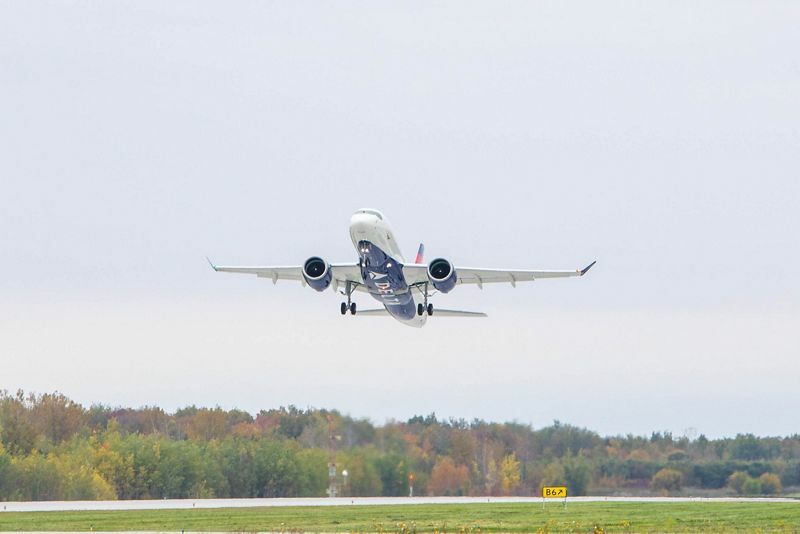 Delta Air Lines’ first A220-100 took off on its first flight from Mirabel airport, Québec, at 02:02 p.m. local time. The aircraft was crewed by A220 programme test pilots. During the successful 2-hour and 53-minute flight, the crew checked the aircraft’s main systems and landed back in Mirabel at 04:55 p.m.
Delta Air Lines will be the first U.S. airline to operate the A220 – at the same time becoming the fourth A220 operator, after Swiss International Air Lines, airBaltic, and Korean Air. Delta is the largest A220-100 customer, with a firm order for 75 aircraft. With an order book of over 400 aircraft to date, the A220 has all the credentials to win the lion’s share of the 100- to 150-seat aircraft market, estimated to represent at least 7,000 aircraft over the next 20 years. Most of the Delta A220s will be built at the Airbus facility in Mobile, Alabama.